A deposit of £200 is required for a reservation. All balances are due 60 days prior to arrival. Weekly breaks can begin on a Monday, Friday or Saturday. Midweek breaks begin on a Monday for 4 nights. Weekend breaks begin on a Friday for 3 nights. Utilities are charged at £8 per day. A £30 dog charge will apply per dog. When booking for groups, all guests must be 25 years and older. Cards accepted are : Visa, Mastercard, Maestro. 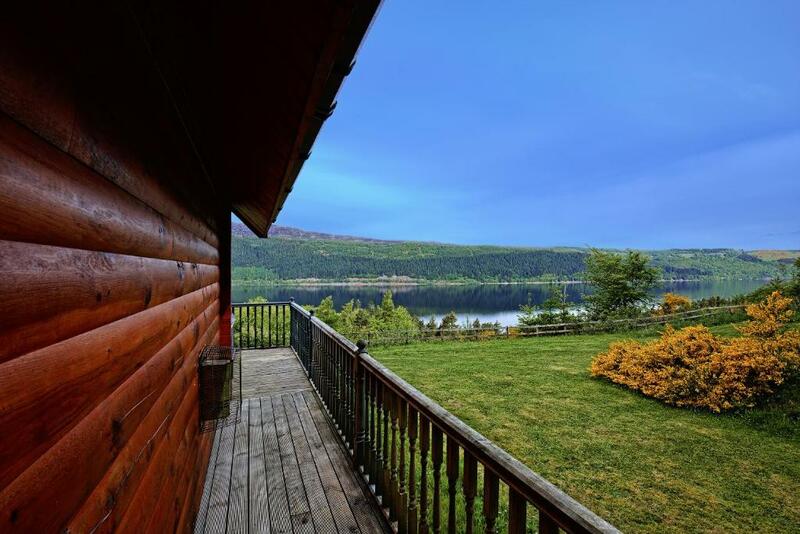 The Self Catering Lodges on Loch Ness are Canadian log cabins that have been designed and built to the highest standards for the discerning customer who recognises and desires craftsmanship and quality, second-to-none. Great care has been taken throughout to provide an environment of not only great natural beauty, but also one that will remain timeless for years to come. The fully-equipped kitchens are modern and up-to-date with the latest in kitchen design and appliances ... a joy in which to self-cater. 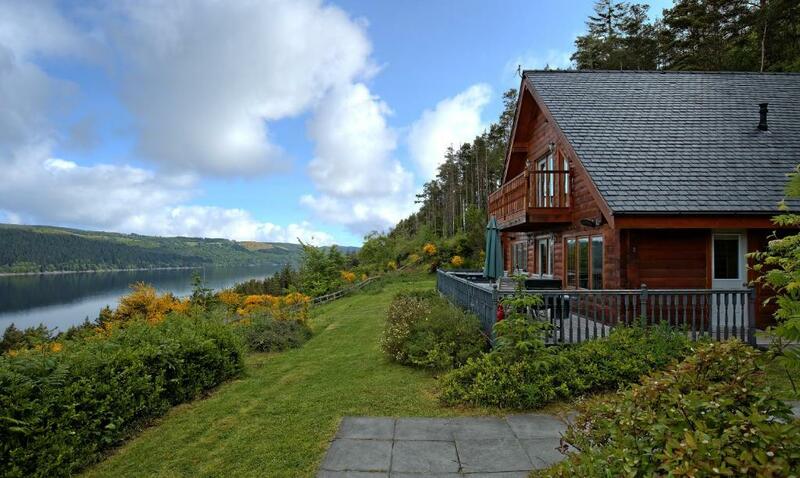 All our self catering lodges have two or three bedrooms. All with an outstanding feature of a mezzanine lounge area with sofa bed ... it's almost a third or forth bedroom. 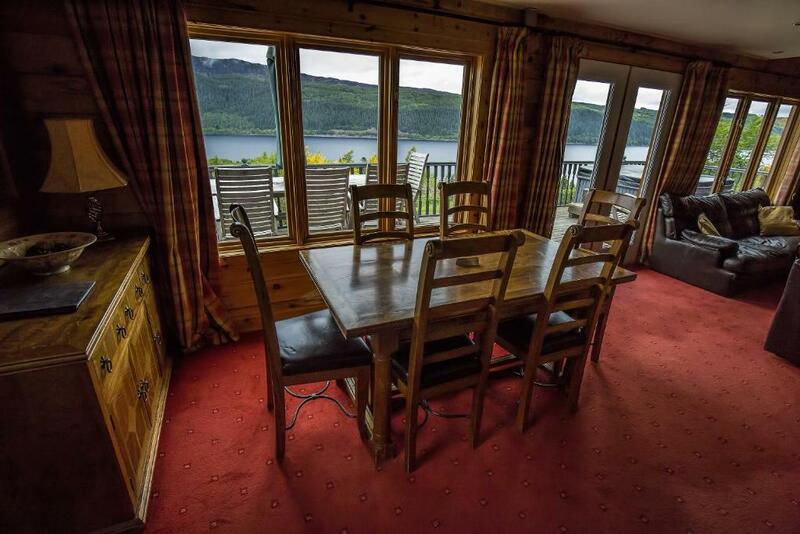 The lodges' furnishings have all been supplied locally by one of the Highlands' finest home furnishes. 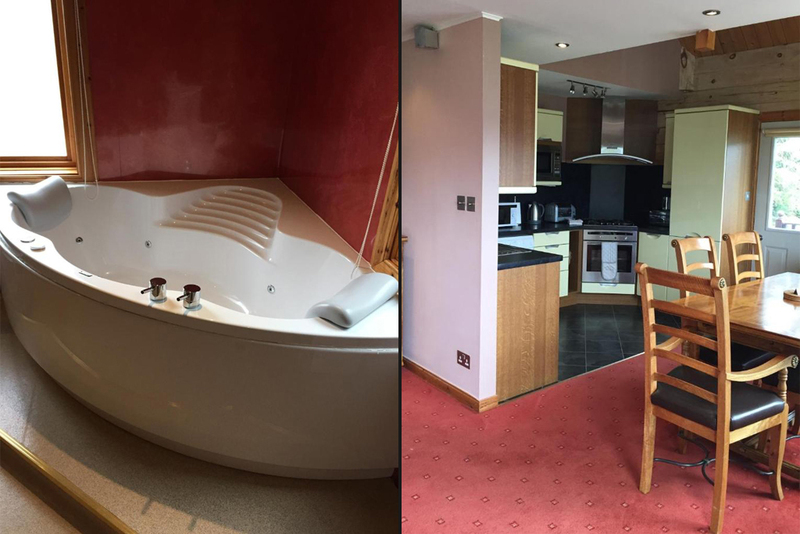 A Master double bedroom with king size bed, twin bedded room, double bedded room and double sofa bed on mezzanine floor. 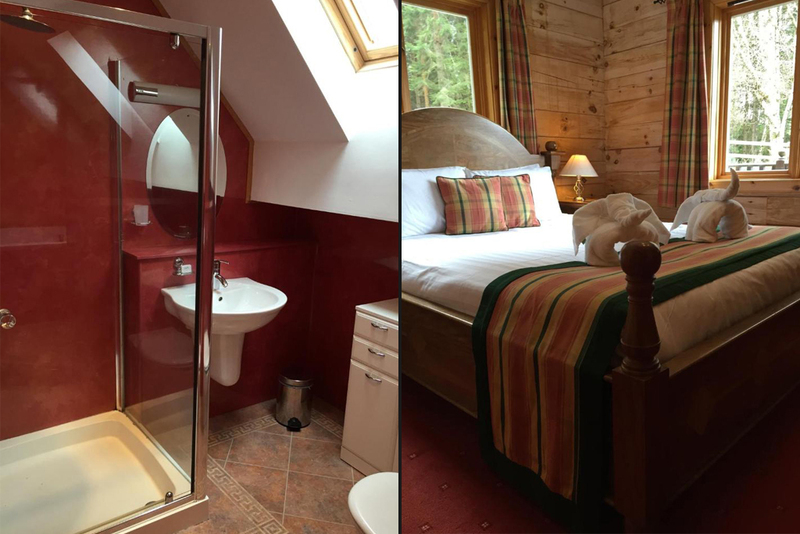 The spacious main bedroom is en-suite, featuring both a shower and an air-bath for two. Only the finest furniture and fabrics have been used to create a comfortable yet sumptuous feel that invites you to relax and enjoy its wonderfully warm atmosphere. All bedrooms have their own toilet facilities. All bed linen & towels are provided. 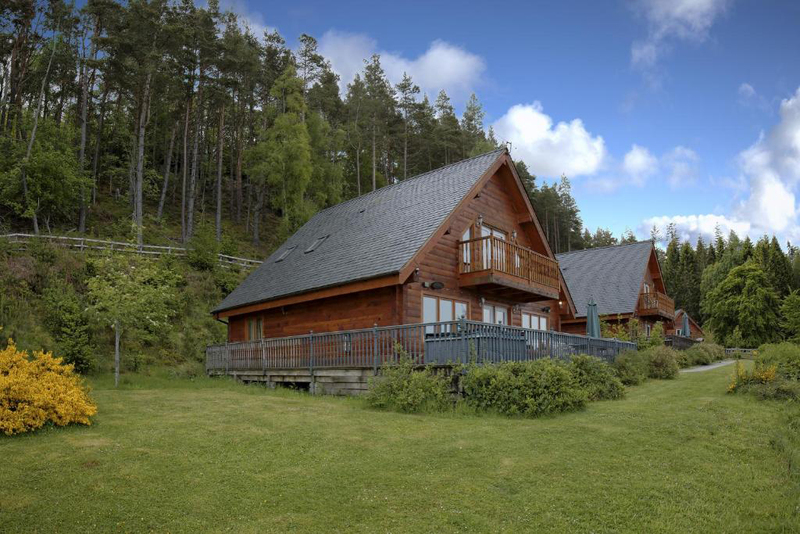 The self catering log cabin lodges are extremely well equipped, including TV & sound system in all bedrooms and lounge, video, DVD & CD player, telephone & selection of games. Each self catering lodge has a fully equipped fitted kitchen including dishwasher & washer/dryer. 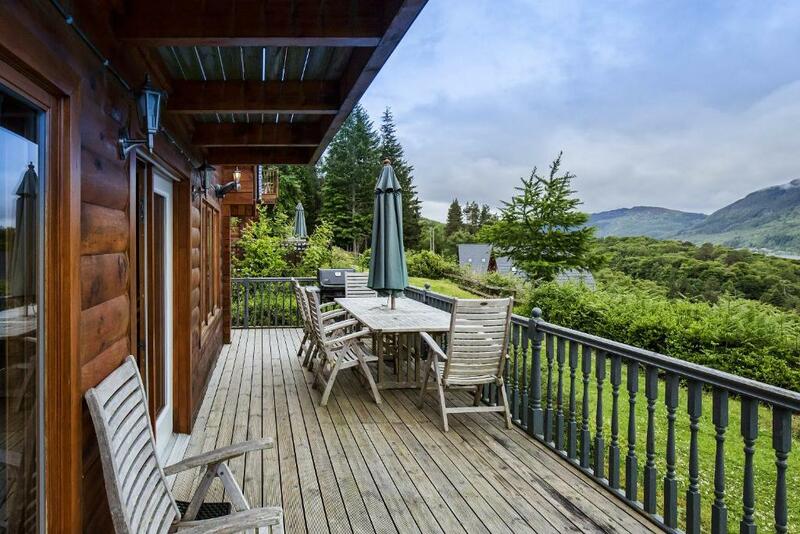 Suspended above the lounge area the mezzanine living space with its own balcony offers stunning Loch Ness views and is an ideal place to get away for a bit of peace and solitude. 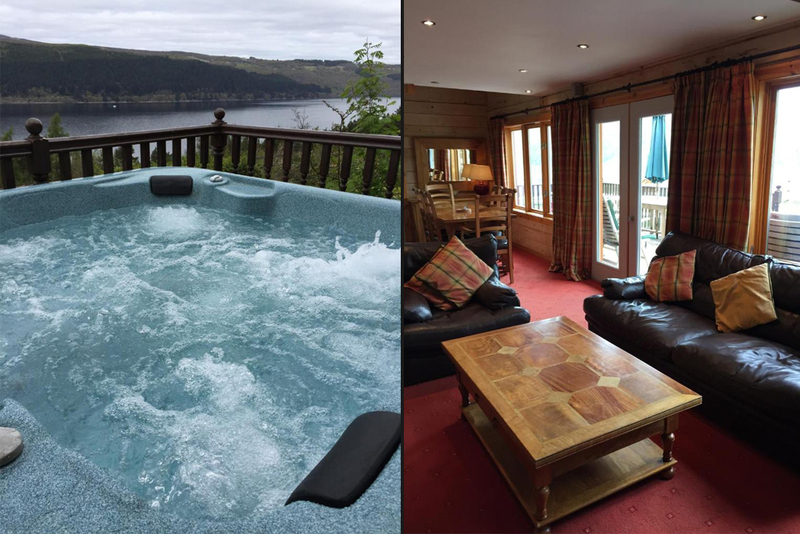 Designed to make the most of the stunning views across Loch Ness, the self catering log cabin lodges are surrounded on three sides by a heated veranda with not only a spa bath for six but also anti-midge equipment to ensure your perfect comfort. 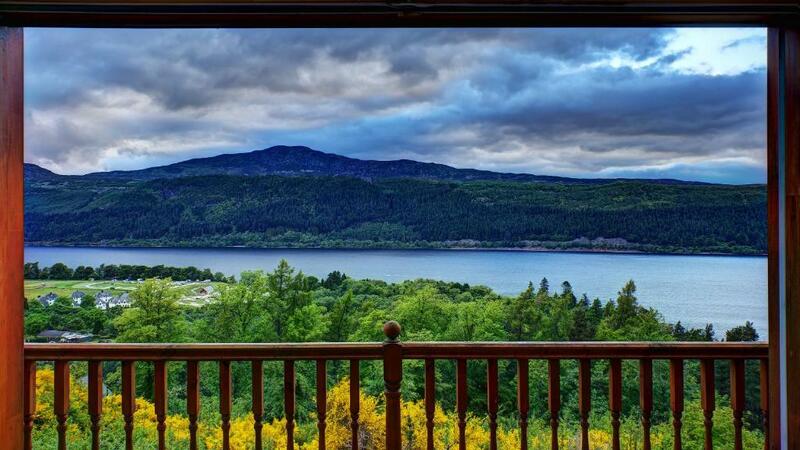 There are additional balconies at the front and back of the properties on the first floor where you can relax and enjoy the wonderful Highland scenery all around. Tea/coffee sugar sachets, dishwasher tablets, washing powder, cleaning materials, washing up liquid & toilet rolls.